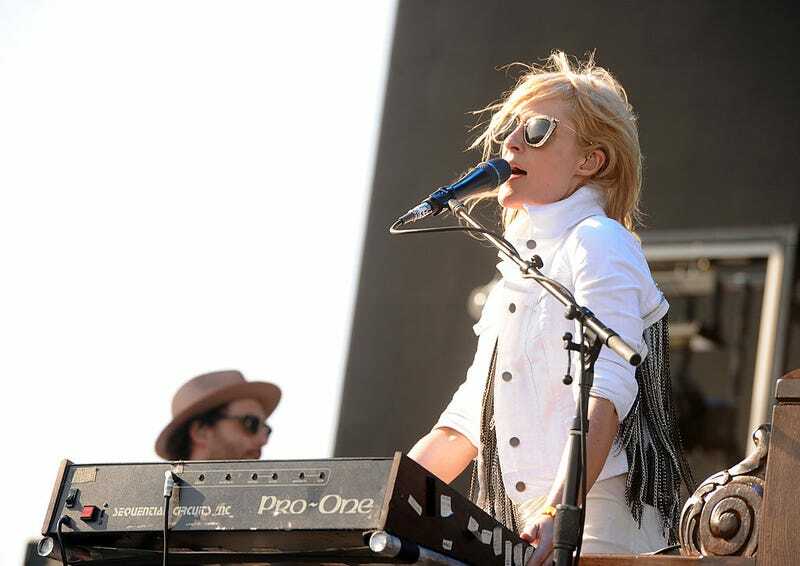 The first solo LP by Metric frontwoman Emily Haines, 2006’s Knives Don’t Have Your Back, is one of my desert-island records, a collection of autumnal chamber-pop that’s not only suited to my favorite time of year, but which was also a key ice-breaker in the relationship that eventually became my marriage. So I was excited when Haines premiered “Fatal Gift” earlier this year, an excitement that turned to hesitancy when the synths and hi-hats kicked in. Was the first Soft Skeleton release in over a decade going to sound like something Haines could’ve recorded under the Metric banner? I’ve been pretty vocal about my enthusiastic appreciation for Mike Judge’s new Tales From The Tour Bus, an animated documentary series about country music greats. It hasn’t aired yet, but there is a two-part episode about country music’s most famous couple that isn’t June and Johnny Cash: George Jones and Tammy Wynette. I knew they had trouble, but I didn’t know that Tammy might have given George food poisoning on purpose or that he was eventually taken away in a straitjacket. Eventually his drinking got so bad that they split up, and Jones’ substance abuse got even worse. It wouldn’t be exaggerating to say that I moved to Chicago, in part, because of The Cool Kids. A decade ago, their blend of bass-heavy throw-back rap and goofy, internet-savvy verses about pagers and basketball punched my pleasure center so aggressively that, casting about for a nearby metropolis to call my home after college, the city attained a sort of glow in my mind. For awhile, the move paid off: You could see the duo every couple months, at festivals and street parties and packed, midweek shows that you could only go to if you didn’t have to wake up early, or at all, the next morning. Chuck Inglish and Mikey Rocks continued their upward swing throughout the latter half of the decade, showing up on Nike commercials and rapping alongside Weezy, releasing mixtapes of surprisingly high quality (shout out to Tacklebox), but never quite breaking through to the next level of popularity. When I came across Mikey’s (excellent) Banco solo LP a couple years ago, it was almost a surprise to see the name again.